After two intense weeks of COP23 climate conference in Bonn, a promising alliance to phase-out of coal was launched by the British Climate Change Minister Claire Perry. Unfortunately, Germany is not a signatory yet. 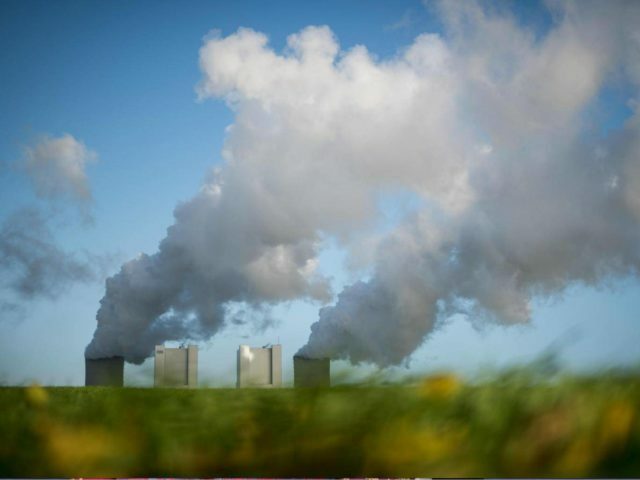 Complementary to this initiative, the NGO Energy for Humanity calls on Europe’s biggest polluters Germany, UK, Turkey and France – responsible for 50% of European emissions – to develop swift and purposeful carbon reduction policies. 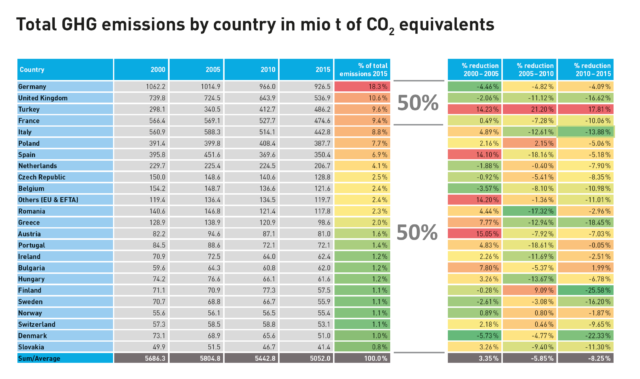 The European Climate Leadership Report 2017, Measuring the Metrics that Matter published last week at the COP23 shows that the countries Germany, UK, Turkey and France together account for 50% of all GHG emissions on the European continent (see table below). These countries have a special responsibility to reduce their carbon emissions since they are the biggest polluters. After 15 years of Energiewende and hundreds of billions spent on wind and solar, Germany has failed to meet its carbon reduction targets. It is time to develop a new strategy focused on cost effective carbon reduction. The UK managed to reduce its absolute GHG emissions the most from 2010 to 2015 mostly by replacing coal with gas. It now launched a promising alliance “Powering Past Coal” to phase out of coal. While strongly growing their GDP, Turkey’s GHG emissions increased massively over the last years. France already has a clean electricity generating mix and must now focus on the wider deep decarbonisation across heat and transport sectors. This is likely to require a further expansion of clean electricity generation (nuclear and renewables). Those four countries are predestined to exchange each others’ experience and swiftly develop a joint GHG emissions reduction strategy which can then serve as model for the rest of Europe. In our opinion, first and foremost, the electricity generation system needs to be decarbonized which then can serve as backbone also for transport and heating in the future. Europe finally needs to phase-out of burning fossil fuels to generate electricity. The French decision not to prematurely phase-out of nuclear is exemplary for a difficult yet necessary decision to get the right results. Such thinking needs to be lifted to the European level. In the meantime, the coalition talks in Germany are coming to an end: Increasing the share of renewables alone will not make Germany reach its climate goals. New thinking is necessary. Energy for Humanity has developed new simple metrics to track success in decarbonizing. Furthermore, there are some very low hanging fruit in Germany: On top of any climate targets the parties would agree to, an additional 10GW of lignite capacity could be shut down if the remaining 10 GW of nuclear power would remain online for a certain period of time. This would lead to the reduction of 75 million tonnes of CO2 per year as of 2022, more than 20% of all electricity related emissions – at extremely low cost per tonne of CO2! The world is looking on what the large economies in Europe are doing: We appeal to politicians, decision makers and industry to do what is necessary to reduce absolute emissions levels.